“Over the years, presidents struggle so hard to get to the White House and then they’re almost desperate to get away from the place once they’re there,” journalist Kenneth Walsh said during an interview in 2009. Abraham Lincoln’s preferred hideaway was a mansion-sized “cottage” that was only four miles from the White House. It served as a useful retreat during the summer to escape the oppressive heat of downtown Washington. 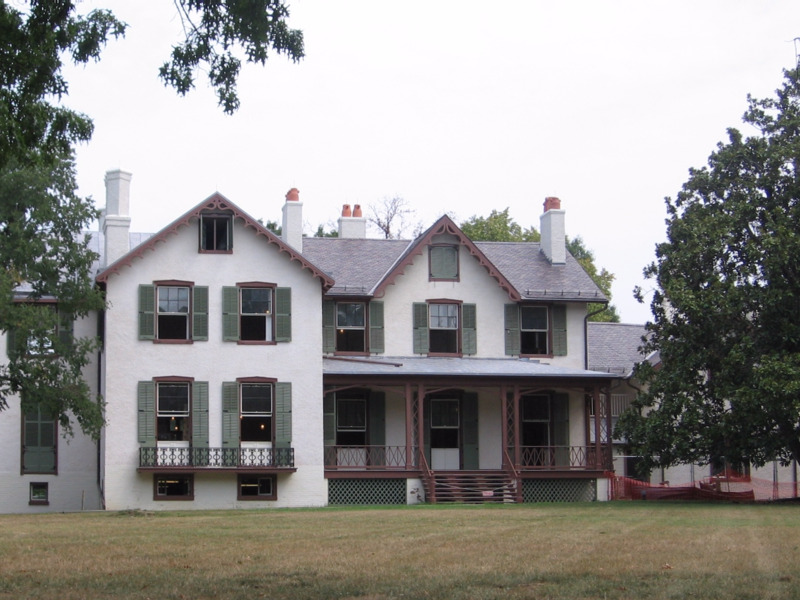 Wikipedia CommonsA modern view of Lincoln’s Cottage at the Soldiers’ Home in Washington. Teddy Roosevelt’s “Summer White House” in Sagamore Hill, New York, served as an ideal location for the president to enjoy the outdoors, away from Washington. Roosevelt was a prominent conservationist who laid the groundwork for the establishment of many of America’s national monuments, forests, and parks. When Franklin Delano Roosevelt needed time away the pressures of wartime in Washington, he ventured to his estate called “Springwood” in Hyde Park, New York. Roosevelt often hosted foreign dignitaries at the home and devised domestic political strategies there with his aides. During the winter, Roosevelt often stayed at his vacation home in Warm Springs, Georgia. He built the home, which was nicknamed “Little White House,” after first visiting the area in 1924 in search of polio treatment. He loved swimming in the 88-degree, natural spring waters nearby. John F. Kennedy’s family home in Hyannis Port on Cape Cod, Massachusetts, was the president’s “emotional center,” where he often found “inspiration” amid the many national crises that he was faced with. 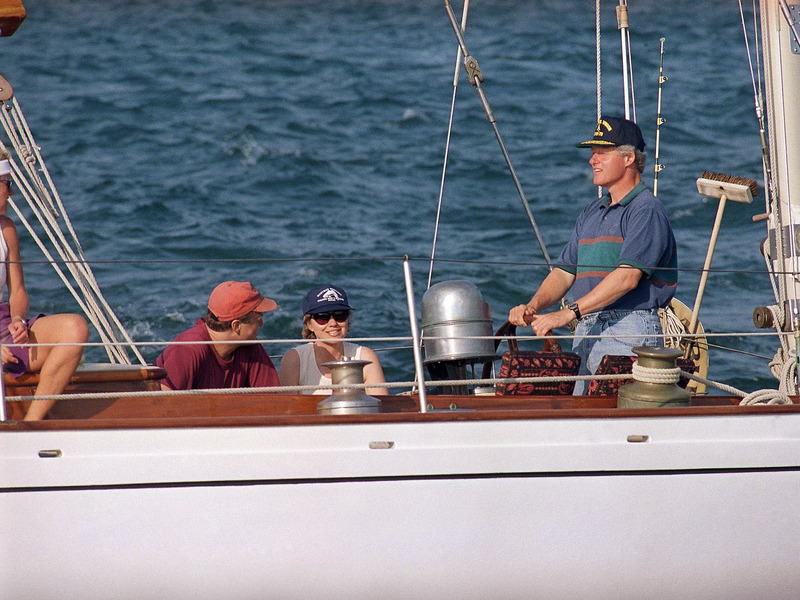 JFK was often pictured relaxing on the beach or sailing with his wife. “I always go to Hyannis Port to be revived, to know again the power of the sea,” Kennedy once said. 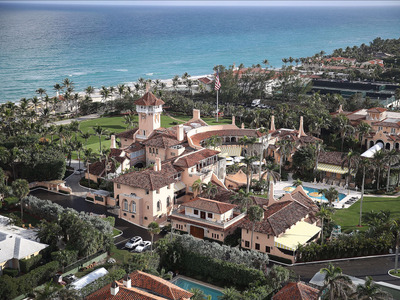 La Casa Pacifica — formerly dubbed the “Western White House” — was Richard Nixon’s popular getaway destination while in office. After resigning in the wake of the Watergate scandal, Nixon retreated to the home to write his memoir. Barack Obama spent nearly every summer vacation on Martha’s Vineyard, where he was often seen golfing, biking, and spending time with his family. Obama wasn’t the only president to frequent Martha’s Vineyard. Ulysses S. Grant, John F. Kennedy, and Bill Clinton also spent significant time there. 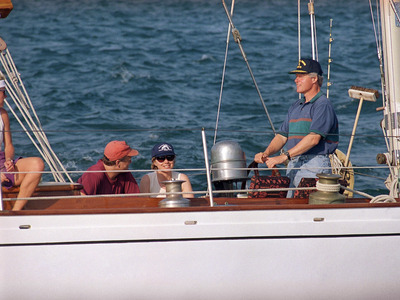 Marcy NighswanderBill and Hillary Clinton enjoy a cruise in the waters off Martha’s Vineyard on August 27, 1993. 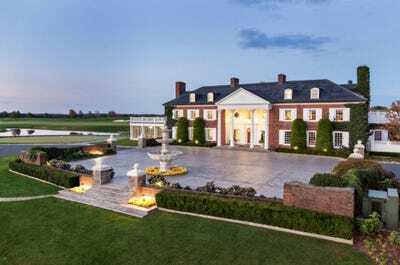 Trump National Golf Club – BedminsterTrump National Golf Club Bedminster. This August, he’s taking a “working vacation” at Bedminster, hosting dinners for supporters and business leaders at night and golfing during the day. Trump’s frequent travel to his resorts has sparked criticism over how much it costs taxpayers. But historian Douglas Brinkley told CNN in 2010 that “criticism’s always been there” when presidents take vacations. It’s a time-honored American tradition.